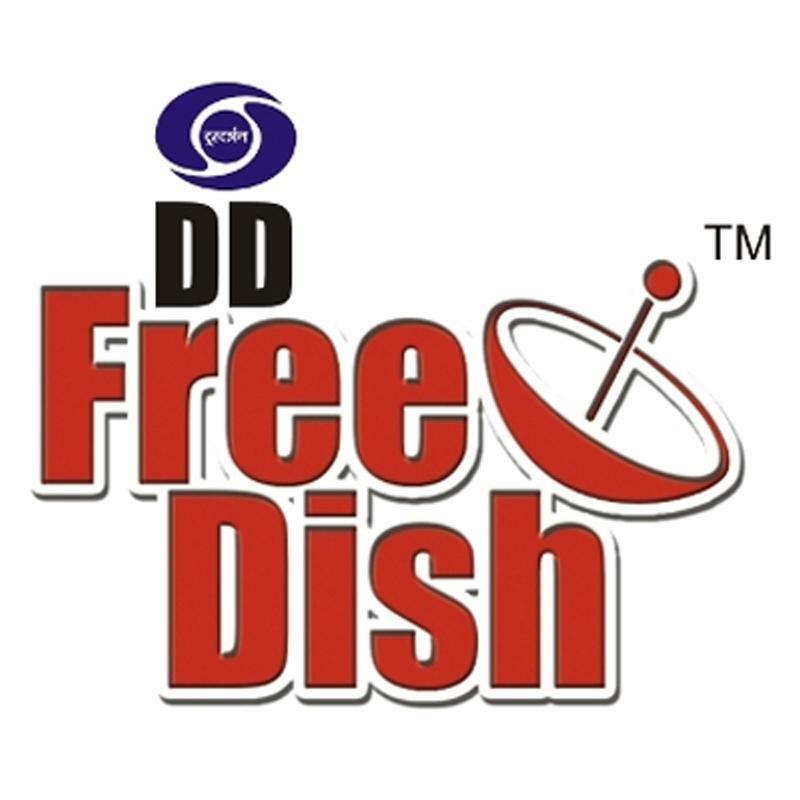 DD Free Dish DTH WiFi Receiver Free To Air HD Set Top Box N-1010 (DVB S2) MPEG-4 With Dual USB Ports, watch High-Quality Free To Air Channels Completely for free and no monthly charges for the lifetime. 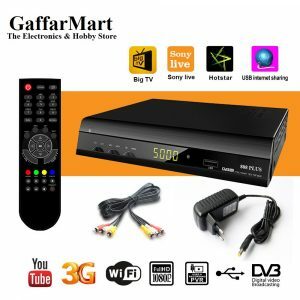 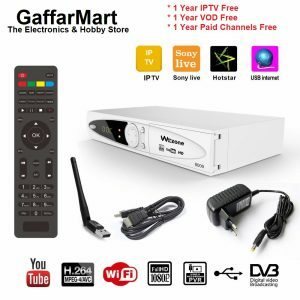 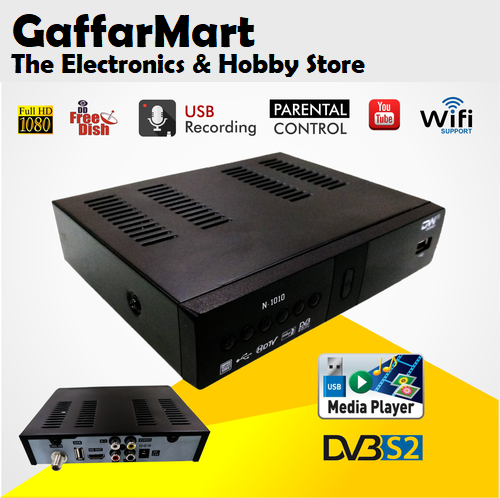 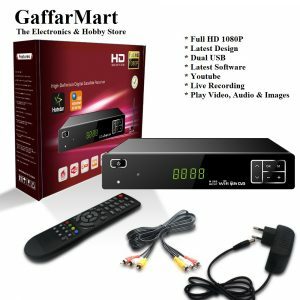 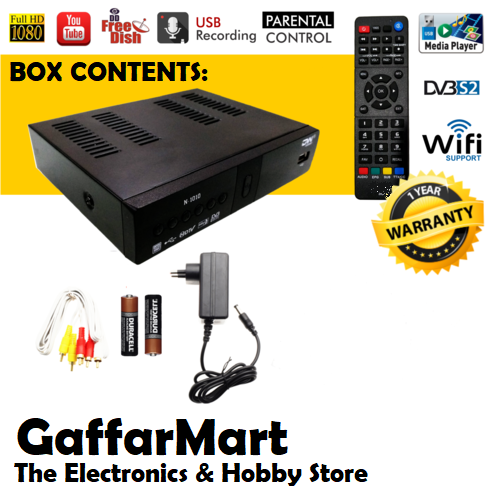 GaffarMart- Providing quality set-top box to receive free to air broadcasting. 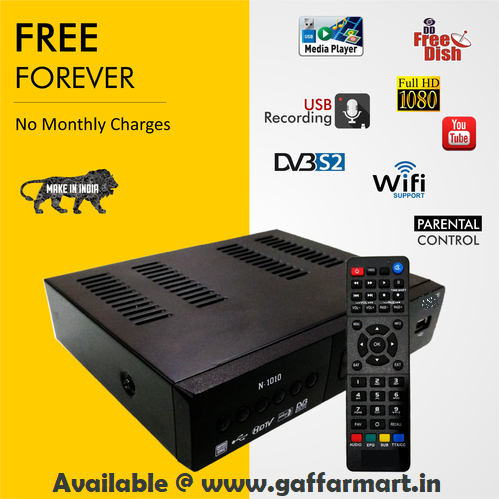 These FTA satellite receiver can be used with DD Free dish, ABS Freedish, Cable operators, Television broadcasters and other FTA channels use. 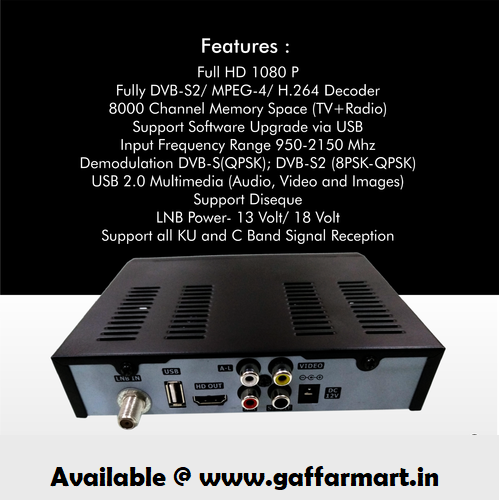 You can use any type of dish antenna with these boxes like KU-Band or C-Band. 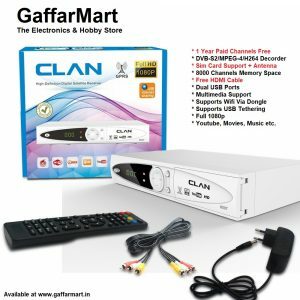 Supports – Youtube, IPTV (VOD, Music), PVR Management, USB Wifi Via Dongle & Many More Features in it.